When the first-gen Audi TT first went on sale back in 1999, it became an immediate design icon. Its funky styling, quirky good looks and an exciting interior made it one of the most popular cars on the road as soon as it went on sale. Admittedly, its driving dynamics weren’t brilliant but that didn’t matter, customers loved it. Now, Audi is honoring the original with a 20th Anniversary Edition TT now on sale in the US. 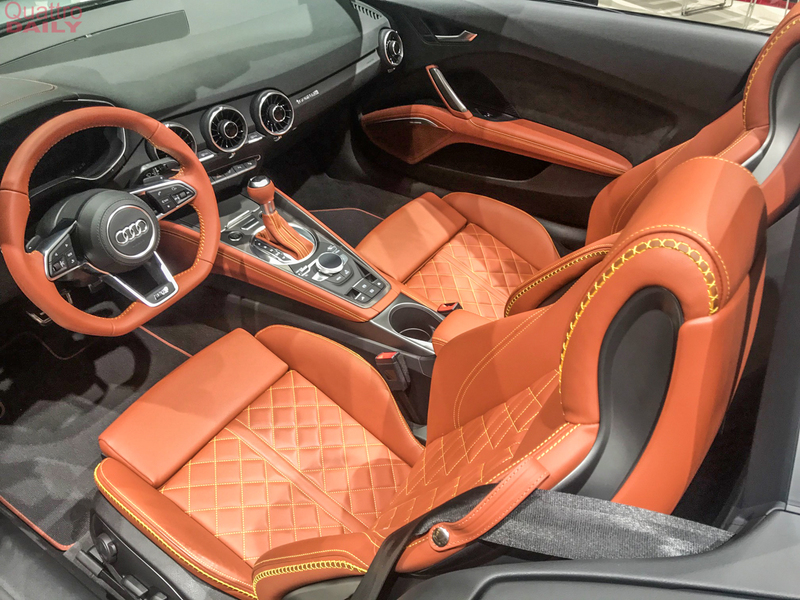 We’ve talked about the Audi TT 20th Anniversary Edition before and its return of the “Baseball Leather” interior. The latter of which is a saddle brown interior that features fat stitching reminiscent of a baseball glove. It was an option on the original TT and now has a bit of a cult following among Audi enthusiasts. Most Audi fans won’t give a second look at an original TT but if it has baseball leather, it gets a good stare. 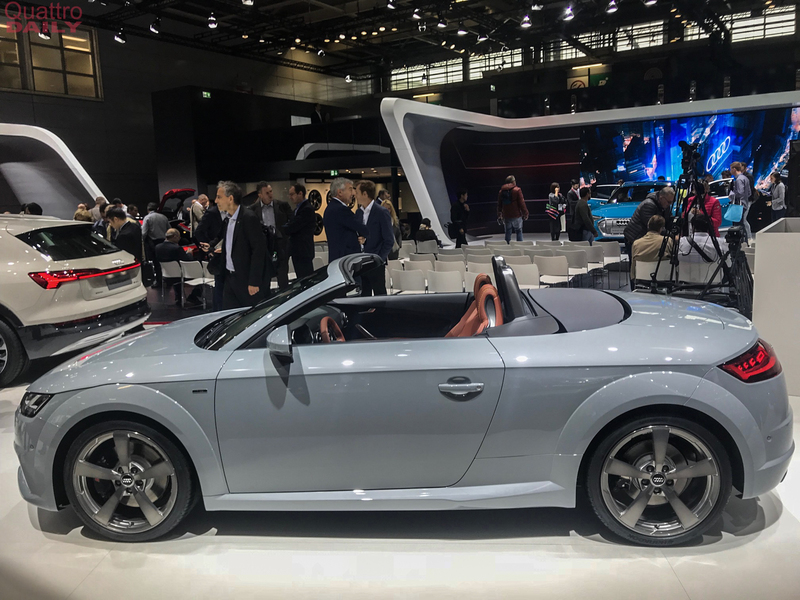 This Audi TT 20th Anniversary Edition is available in either Coupe or Roadster variants and comes in either Aviator Gray pearl metallic, or – exclusive to the U.S. – Nimbus Gray metallic. The Moccasin Brown Fine Nappa leather with custom-made yellow contrast stitching is the baseball leather we’re talking about. In addition to its new exclusive paint options, the 20th Anniversary TT gets high-gloss black exterior trim elements and unique 19 inch 5-arm-design gunmetal wheels with summer tires. A trumpet-style stainless steel exhaust is exclusive to the model and reminiscent of the original TT’s exhaust design. The rear end also gets the same OLED taillights currently only available on the TT RS. “20 Years of TT” badges adorn the front fenders, alongside matte finish Audi rings etched into the rear sills. Mechanically, it’s the same as a regular Audi TT. So it gets a 2.0 liter turbocharged four-pot making 228 hp and a seven-speed dual-clutch gearbox. Audi claims 0-60 mph in 5.2 seconds, which is the same as the standard TT. Starting prices for the Audi TT 20th Anniversary Edition in the US are as follows: $52,900 for the Coupe and $56,800 for the Roadster.